Dimensions: Seat height: 24 inches and the overall dimensions are (17" Wide, 20" Deep, 40" High). 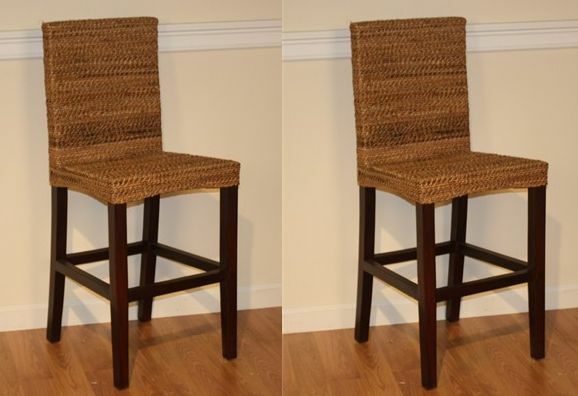 Sit back and relax after enjoying your meal in the seagrass counter stool. The Maui seagrass stool is framed on wood and features a mahogany wood frame. Price is for 2 counter stools. Seat height: 24 inches and the overall dimensions are (17" Wide, 20" Deep, 40" High).